If you don’t live in a cave, the chances are that you have checked out Costco, or at least heard the buzz about the bargains you can find at the bulk warehouse retailer. Most people who have memberships will agree that a membership to Costco will save you money in the long run. The problem for many is Costco doesn’t offer a trial membership or a one-day pass so you can figure out whether the warehouse is worth it for you. While there are ways to shop at Costco without a membership, they aren’t convenient for most, and if you shop at the store on a regular basis, you will want a membership. So the question is, “What are the membership plans and fees?” At Costco, membership plans are not a “one size fits all” deal. Plans range in price from $55 – $110, depending upon your plan’s features. The first option is the Executive Membership. This is the highest level of membership offered at Costco. The real bonus of the Executive Membership is the fact that members can take advantage of a 2% reward on most of the purchases made at Costco. On the website, Costco states that this reward can be up to $750 per year. 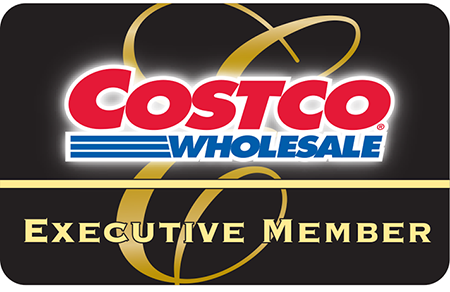 Executive members also receive greater discounts on other services offered at Costco. The Executive Membership will run you $110 in annual membership fees. The Executive Membership also includes household membership. The next level of plans is the Business Membership. This level is meant for business owners who want to share price savings within their company. It is available to business owners and business managers, and products purchased can be either for business or personal use. This plan comes with two cards. Members of the Business Membership level are able to add up to six additional cardholders to their account at the rate of $55 each. Finally, there is the Gold Star Membership level. This is the plan meant for individuals and households. This membership plan has a $55 annual membership fee and is commonly used to purchase items for normal household use. This plan comes with two membership cards. Costco aims to keep their prices low and their customers satisfied. One way they can accomplish this goal is through membership fees, which translates into savings for their customers. These savings are mainly noticed by those who own small businesses or have large families. Individuals, who may not need to purchase items in bulk, may not notice significant savings. Executive Members make up a high percentage of cardholders, roughly 38%. The overall membership renewal rate is astonishingly high, at 90%. It also seems that when customers have to pay a membership fee for shopping privileges they will shop at that store more often. Consumers want to be sure that they are getting their money’s worth. 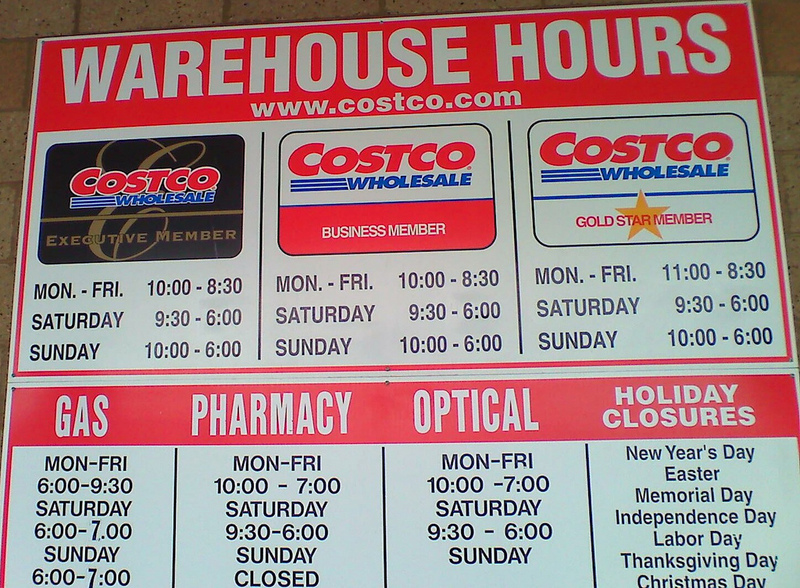 Regardless of the membership that you choose, it seems that customer satisfaction and great savings is Costco’s goal. With the high rate of membership renewals, Costco’s customers appear to be pleased. People can’t seem to get enough of Sam’s Club. Buying food and household items in bulk can indeed save money in the long run. Many consumers use Sam’s Club on a regular basis as a means to rack up the savings, but what if you don’t want to be a regular Sam’s Club shopper? 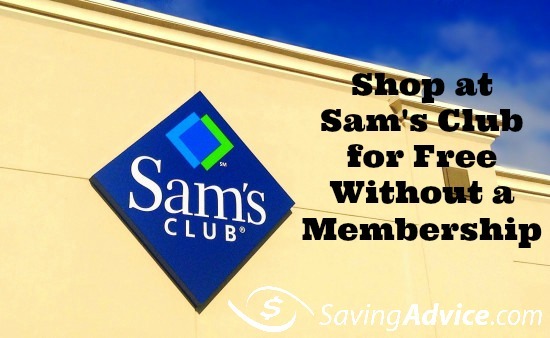 What are the options if you would like to take advantage of Sam’s savings every once in a while, but you don’t want to pay for a membership? Is it possible to shop at Sam’s Club without a membership? It seems that it is not only possible, but there are several ways one can go about it. For those who wish to be only occasional Sam’s Club shoppers, the warehouse stores actually offer a free one-day pass , unlike Costco which doesn’t offer one-day passes. This pass can be printed and brought to the store whenever you would like to shop. This sounds like a great way to use the savings to your advantage without actually purchasing a membership, right? Like most things, though, there is a catch. When using the one-day pass, you will be charged an extra 10% on every purchase you make (unless you are in California, South Carolina or Elmsford, New York which are exempt from this 10% surcharge). Chances are, this surcharge may make any savings you would receive null and void. However, there are some items you might be getting a deal even after the 10% surcharge. Using the one-day free pass is also a great way to give Sam’s Club a test drive to see if a membership would be worthwhile to you. Another option is to become an “add-on” member of someone with a membership. Perhaps you have a household member who is already a member. They would be able to add you on to their membership and you could enjoy the benefits. You can also shop online at samsclub.com at any time without a membership. You would just be charged a 10% surcharge on top of membership prices, much like when you use the one-day pass. You may also want to sign up for Sam’s Club’s email list. At different times throughout the year, Sam’s Club holds an open house event. During the event, Sam’s Club opens its doors to non-members as a way to entice new members. You can find out about these open house events by being part of the mailing list. Yet another option is to accompany a friend or family member who is a Sam’s Club member. You can shop the store and even purchase items, as long as the member is the one paying. This is a handy option if you have a Sam’s Club member who is willing to make purchases on your behalf with the promise of reimbursement. If you find that you enjoy the bargains available at Sam’s Club, you may come to the conclusion that membership is a worthwhile choice. Membership prices run anywhere from $55-$110 depending on the option you choose. Sam’s Club is all about customer satisfaction and will even refund the membership price if you find you do not use it as much as you had anticipated. Whether you opt for a one-day pass, an occasional visit or full membership, Sam’s Club has prices that are hard to beat. Besides being able to buy all of your favorite foods and household items in bulk, Costco is known for another amazing thing that impresses its customers — it has an unbeatable return policy. Although most retail stores offer some type of return policy, very few are able to compare to the one offered by Costco. Costco’s return policy allows customers to return all items purchased at the warehouse (except certain electronics) at any time. This has been Costco’s policy for quite some time, and most customers have been pleased. What’s Costco’s return policy on electronics? Costco updated its return policy in 2007 to be a bit more specific on certain items to curb abuse. In reference to electronic items, Costco now says these may only be returned within ninety days from the date of purchase. All other non-electronic items, however, are still under the umbrella of Costco’s generous allowance for returns. What’s Costco’s return policy without a receipt? To return an item, it doesn’t matter if you no longer have the receipt as long as you have the same membership you had when you made the purchase. This allows Costco customer service to look up under your membership purchase history to confirm you purchased the item you’re returning. If it is there, you can return it even without the receipt. If you shop at Costco without a membership and lose your receipt, you’re out of luck. What’s Costco’s return policy for online purchases? Costco offers full refunds on all purchases, either made online or in a store location. You can receive the refund or exchange simply by visiting one of Costco’s warehouse locations. Even if you are not able to physically visit a store for a return, there is no need to worry. Costco has a customer service phone number which you can call and make arrangements for the return to be scheduled via United Parcel Service (UPS). All you need to do is take your merchandise, in its original packing material, to the closest UPS shipment center. Is the Costco Return Policy Unlimited? Besides the limit 90-day return limit on electronics, many wonder if the Costco return policy is unlimited. For anything reasonable, the answer is “yes.” In the strict sense, the answer is “no” for those who are trying to abuse the system. 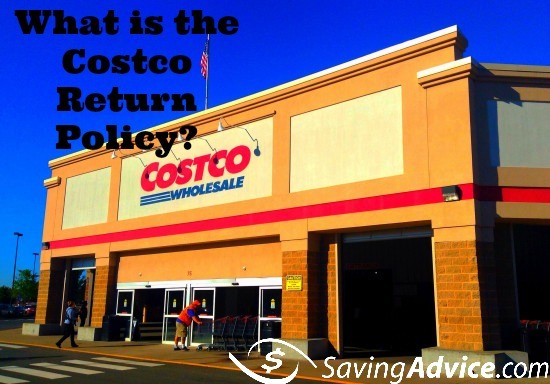 Costco states its return policy aims for a “100% guarantee on all merchandise.” Costco is also quick to clarify the return policy is left up to the individual discretion of each location’s manager. This is necessary, because like any good thing, it seems there will always be those people out there who decide to take advantage of the generous return policy. There are stories online of customers attempting to return ten-year-old products, just to test whether or not Costco will honor the return policy. Apparently, even Costco has limits, and that’s why managers are given the discretion to decide on an individual basis whether or not to accept a return. Like most retail establishments today, Costco is aware that customers demand satisfaction, and it goes out of its way to please its customers with a highly-regarded return policy. As long as you aren’t trying to abuse the system, you should be able to return any product you aren’t satisfied with without any issues at all. For more on Costco and what you should and shouldn’t get there check out these articles. Does Costco Offer A Free Trial Membership? Many sewer blockages have to be removed by hand. This can be an expensive and labor-intensive task that can throw a wrench into your finances. This begs the question: what items should never be flushed down your toilet? The basic rule of thumb is simple — never flush anything other than human waste and toilet paper. Most people are probably surprised by this limited list of approved flushable items. Chances are, you have flushed many things down your toilet over the course of your lifetime besides toilet tissue and human waste. However, there are certain things which can be harmful to your pipes, as well as the environment, and should never be flushed. For starters, you never want to flush dental floss. It seems so small and harmless, but dental floss is not biodegradable. It can become twisted and tangled around toilet paper in our pipes and cause disastrous clogs. While many goldfish owners have sent their deceased pets to a watery grave, flushing fish and other pets (hamsters, gerbils, etc.) is never a great idea. They do not break down quickly, and can cause clogs. More importantly, they can introduce and spread possible diseases into a septic system and water supply. Paper towels, baby wipes, cleaning wipes, feminine hygiene products such as tampons, and facial tissue should never be flushed. They are much thicker than toilet tissue, therefore they do not break down as well in your pipes. All of these items are clog hazards. Another important item to never flush is medication, both prescription and over-the-counter. These medications are simply a mixture of chemicals. 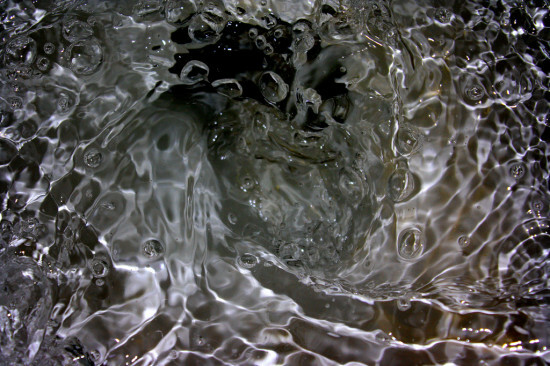 By flushing them, you are introducing these chemicals into the sewer system, and most water treatment stations are not equipped to successfully remove these chemicals from the water supply. The same rule applies to pesticides and cosmetics, which also contain chemicals that are unsafe for the water supply. It seems obvious, but disposable diapers are not meant to be disposed of in the toilet. They are made of plastic, and you are asking for a small disaster by flushing them down your toilet. Kitty litter should never be flushed, especially the kind that is made of clay. It is advisable to even be cautious of the “flushable” kind. Toxoplasmosis, a parasite found in cat waste, is in the kitty litter which you are flushing. Toxoplasmosis can be harmful to marine biology. Cotton balls and Q-tips do not break down, and can cause potential clogging. Be sure to dispose of these items in a trash can, and do not ever flush them. Other non-flushable items are grease, food fat, dirt, bandaids, condoms, hair, food scraps, and cigarette butts. At one point or another, we have all been guilty of using our toilet as a trash can. However, it is important to be aware of the potential hazards of clogging your drains with items which were never intended to be flushed. It is also imperative to remember that a lot of these items contain potentially hazardous chemicals and toxins and are capable of polluting our water supply. Stick to the rule of flushing nothing but toilet tissue and human waste. How Is ARCO Gas So Cheap? It seems that with ARCO, these large price savings can be attributed to many of its business practices. First of all, ARCO has no processing fees for credit cards because they do not accept them. This offers ARCO the savings of about $0.30 per credit card transaction fee which its competitors have to pay. Conversely, ARCO charges its customers a $0.45 fee per debit card transaction (or they can save this by paying cash). Perhaps this debit card fee is the reason ARCO enjoys a higher gas purchases per customer than its competitors. If a customer is already paying a $0.45 debit card transaction fee, chances are the customer will in turn purchase more gas than they might if they were not paying the transaction fee. This allows ARCO to sell more gas per customer, thus granting them the ability to offer lower gas prices. Since the inexpensive gas offered at ARCO comes at a significantly lower price, it has consumers wondering whether or not it’s safe for their vehicles. The federal government has fairly strict guidelines on most things, and gasoline is no exception. There are certain standards for all gasoline sold in the United States, such as octane levels, and the general characteristics that gasoline must possess. Therefore, all gas sold in the United States is basically the same. The differences in gasoline with the extra detergents and additives different companies add to their gas above and beyond what the Environmental Protection Agency (EPA) requires. All gas must contain a certain amount of detergent additives, which are EPA approved. Many companies add even more to differentiate their brand for other gasoline. 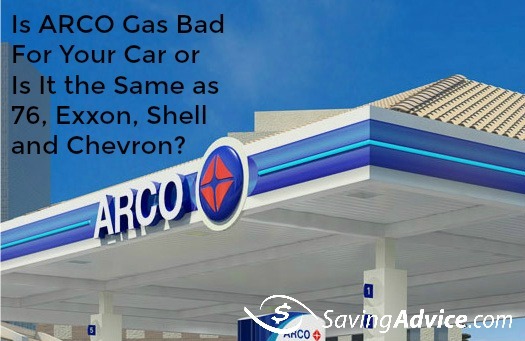 So the question becomes, is the branded gas from companies like Shell, 76, Exxon and Chevron better than ARCO gas? No. While the blend of detergents and additives is different for each company. ARCO gas is on par with other top gas brands in the US. ARCO offers “Top Tier” gasoline. Top Tier gas is the standard which is recommended by seven of the top automakers in the world, and it a standard even higher than what the EPA requires. To further ease customers’ minds, Edmunds conducted a study questioning experts in the automotive field. According to findings, consumers are putting their vehicles at no greater risk by putting “cheap” gas into them. Most vehicle owners will not notice any difference in performance by purchasing cheap gas. However, the best advice is to look at your car’s owner’s manual and follow the guidelines given about the best type of gasoline for your particular car. Regardless of whether you think that ARCO gas isn’t as good as other brands, you can try a “gas hack” which should save you money. In lots of parts of the country you can tank up at the ARCO station, and add quality fuel injector cleaner . Adding this fuel injector cleaner as recommended should address any quality concerns, while still allowing you to buy the cheaper ARCO gas. Just add the injector cleaner when you go to the gas station and you should be good to go. Consumers today are always looking for a bargain. As prices on most things continue to rise, it is good to know that consumers are not putting their vehicles in jeopardy by taking advantage of savings at the gas pump. For more places to buy gas and ways to save check out these articles.